Scott helped us through everything! We never felt pressured or hurried. For first time buyers he made us always feel completely comfortable. Honestly I don’t see how it could have been a better experience. Thanks Scott! Scott was great to work with. He was always very quick to respond to any questions we had. Very professional service and would recommend him. Simply the best real estate experience of my life! My wife and I were looking for a new home after moving to the Kelowna area and walked into the Remax office to see what was available. Scott greeted up upon arrival, walked us into a board room and proceeded to spend the better part of the next 2 DAYS with us as we hunted down exactly what we were looking for. I have need seen such dedication and professionalism. Scott asked all the right questions, did his market research and we both felt confident that he had our back through every home showing. Although those initial couple days did not result in a home purchase, Scott worked with us over the next few months, always answering his phone promptly and backing up all his thoughts about the market with paperwork and recent transactions. When we found a home to purchase Scott was by our side the entire time and made sure we were comfortable and informed. A true professional, Scott and his team delivered well above any expectation we had and we'd highly recommend Scott to anyone looking to purchase or sell a home in the future. Thanks Scott, you made a difficult process incredibly easy! Scott helped us with both the purchase and sale of our homes. He was prompt, professional and easy to communicate with. Scott listened to what we were looking for and helped us find a house that actually ticked all our boxes, without having to compromise on anything! He did an outstanding job at communicating everything throughout the process, ensuring we knew exactly all parts of our contracts, and going over many of the details other realtors may just gloss over or not even bother explaining. Scott was quick and efficient when our house went up for sale and had everything ready to go when we were. 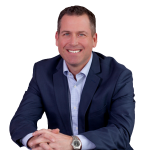 I would highly recommend Scott for any realty purchases or sales in the Lake Country/Kelowna area.